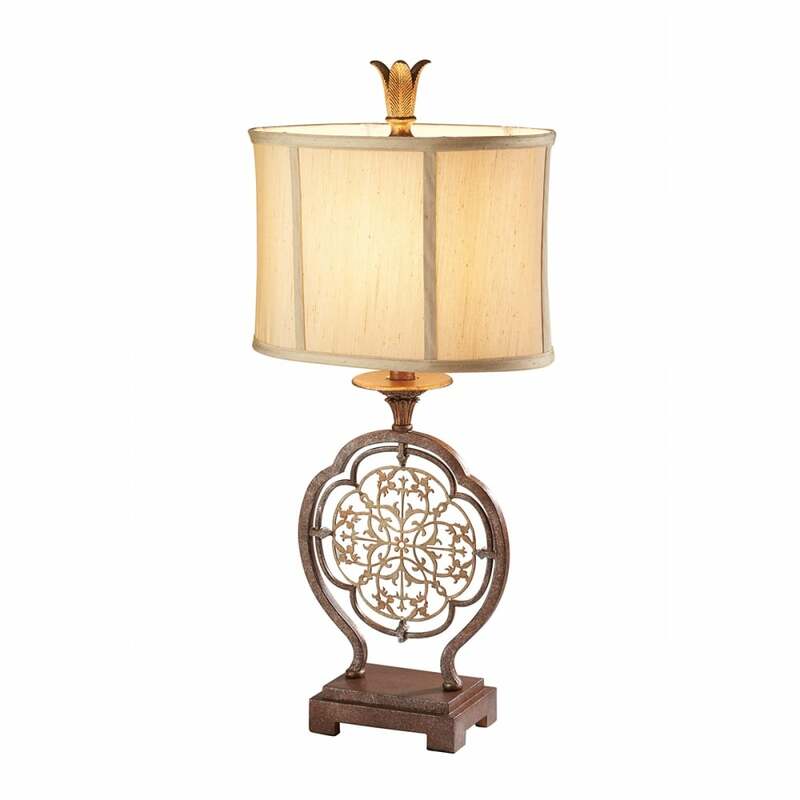 Featuring an Eastern-inspired filigree design at its heart, this stunning table lamp from the Marcella collection adds understated yet unbridled style and a touch of artistic charm to any home environment. A golden crown protrudes above a panelled shade in soft beige. Matching items available. The entire collection consists of a stunning 8 light chandelier, 2 pendant designs and a semi-flush mount, two wall lights, a table and a floor lamp. View All Feiss for more information on Marcella or view the complete Marcella Collection.